Just Listed :: Updated Charmer in Ridgewood Heights! Welcome Home! 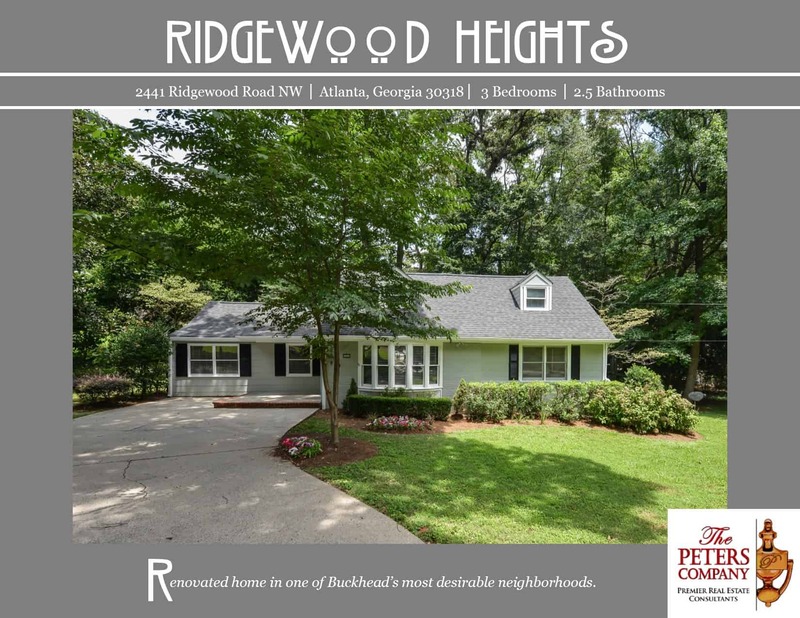 Located in one of West Buckhead’s favorite neighborhoods, this home is just what you’ve been looking for. The custom features and charming character of this home will never go out of style. The close proximity to Moores Mill Road, I-75, and I-285 makes it convenient to and from any direction. Did we also mention that you are only minutes from all your favorite restaurants and shopping spots in Buckhead, Midtown, and on the Westside? You’ll also love being in the highly sought after Morris Brandon Elementary School district! Renovated kitchen features stainless steel appliances, granite countertops, pantry, travertine floors, and updated lighting. Separate dining room is perfect for entertaining guests or casual meals at home. Spacious living room boasts neutral colors and plenty of natural light from a large bay window. Main floor master suite is a true retreat including a large walk-in closet and spa-like master bathroom. The master bathroom features a double vanity with granite countertop and large walk-in shower with marble surround. Main level flex space ideal for home office or playroom. Wonderful outdoor space includes a large deck overlooking the wonderful backyard with professional landscaping. Call The Peters Company today to see this wonderful homes at 2441 Ridgewood Road NW… 404-419-3619! ← Just Listed :: Charming Condo in McGill Place!